Debbie talks to performance poet Sarah Kay about teaching people to write. Debbie talks to museum director Thelma Golden about the power of curation. Debbie Millman talks with Pete Sousza about his years as the Obama administration official photographer. Debbie talks to Patricia Cronin about art and politics. Debbie talks to Michael Ovitz about his long and controversial career as a Hollywood power broker. Debbie talks for Aaron Draplin about setting up his own shop, and about making money as a designer. Debbie talks to optimist, ethnographer, and author Simon Sinek about the fruits of good leadership. Debbie talks to author and art director Steven Heller live on stage. Debbie talks to portrait painter Amy Sherald about her emotionally evocative work. On this episode Debbie talks to Lewis Lapham about his long career in journalism and the media landscape today. Debbie talks to writer Carmen Maria Machado about her writing, life, career, and the importance of ego. Debbie talks to Aminatou Sow about her podcast and her career in tech. Debbie talks to Edel Rodriguez about his career and his celebrated illustrations of Donald Trump. Debbie talks to Richard Haines about his late blooming career as an illustrator. On this episode Debbie talks to Nick Law about working through failure. On this episode, Debbie talks to Sukey Novogratz about meditation and recovery from trauma. 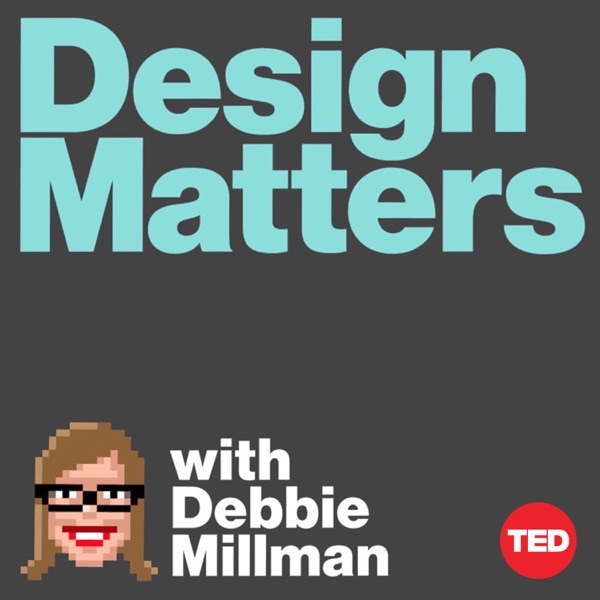 On this episode, Debbie talks to interactive designer Edwin Schlossberg about his career and about the time he asked a Vatican archivist why they had cataloged so little of their historical treasures. On this episode, Debbie talks to experimental psychologist and author Steven Pinker about measuring human happiness. On this episode, Debbie talks to musician Kaki King about performing and composing. On this episode, Debbie talks to David Cay Johnston about the fun of investigative journalism..